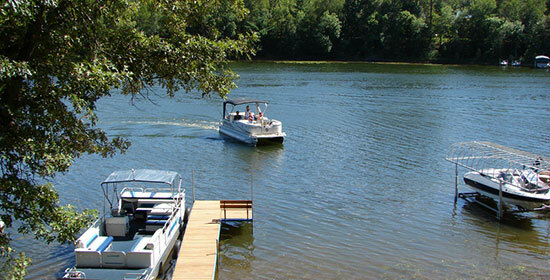 PA Boating: Are You Considering These 5 Hazards? Singer Chris Janson has famously crooned, "You can't buy happiness, but you can buy a boat—and that's pretty close." No matter if you've been a boater all your life or if this is the first summer you'll be at the helm of your own vessel, it's important to understand that boating accidents can—and do—happen. In fact, the U.S. Coast Guard estimates that more than 4,100 people were injured and 626 were killed in boating accidents across the country in 2015 alone—a slight increase over 2014 numbers. In addition to the human toll, these accidents also caused more than $42 million worth of property damage. As injury attorneys, we’ve long believed that boating safety knowledge and preparation are keys to helping ensure that a preventable accident doesn't happen to you. We can't stress enough the importance of having the proper safety gear on board your boat, and making sure that before setting sail, you seek out a nationally accredited boating safety course. 76 percent of boating accident victims drowned—and 85 percent of them were not wearing life jackets. 71 percent of deaths happened on boats where the operator underwent no boating safety training or instruction. The top three causes of boating accidents in the United States were operator inattention, operator inexperience, and improper lookout. Propeller injuries often happen after an accident already happens—when a boat strikes a fixed object, and collides with another vessel, which can cause a boat passenger to go overboard. Safety experts say sometimes these accidents can also happen when there's a machine failure, and a boater goes to troubleshoot. There were 158 incidents during which at least one person was struck by a boat propeller. These propeller accidents caused 150 injuries and 27 deaths throughout the United States. Make sure everyone on the boat is safely seated inside. A wave can cause a boat to quickly jump or sway—causing a passenger to fall overboard. Don't let anyone out on the swimming platform when the engine is running. Be especially careful when waterskiing, and around other boaters who are towing them. Be aware—and steer clear of—areas where there are divers. The tragic death of two young women kayaking in the Ohio River underscores the dangers of dams to recreational boaters. This is why: Strong currents above the dams—many of which are not clearly marked—can draw boats and kayaks into the water and over the dam. Areas below a dam are equally dangerous because of recirculating currents and choppy water. Before heading out for a ride on the river—regardless of what type of vessel you'll be travelling in—be sure to check the Pennsylvania Fish and Boat Commission website, where you can find a comprehensive list of about 250 dams. The website also includes best practices for boaters about navigating Pennsylvania's dams. The cause of death for the majority of boating accident victims is drowning—inhaling or being submerged in water. However, boaters should also be aware of something known as dry, or secondary drowning. While rare, dry drowning happens mostly to children, occurring when a child breathes in water, causing his vocal chords to spasm and seize—making breathing almost impossible. If you have children on your boat, be sure to supervise them closely for 24 hours after they’ve been swimming—especially if they struggled in the water. The term electric shock downing made national headlines following the death of a 15-year-old in Alabama last year, but it's been something safety advocates have been warning boaters and their passengers about for years. Electric shock drowning happens when an electrical current enters fresh water from an electrical fault from a nearby marina, or piece of machinery and comes into contact with—and tries to pass through—the human body, causing paralysis and ultimately drowning. So how do you prevent electric shock drowning from happening? Pay attention to—and heed—signs posted on docks or marinas warning boaters not to jump or dive off into the water. Never swim out to inspect your boat equipment while it is docked at a powered marina. Even if you've done a pre-boating equipment check with no problems a thousand times, a faulty line or leak could cause a serious accident the thousand-and-first time—so don't chance it. As injury attorneys, we've long warned people about the dangers of driving under the influence. While people may most often associate DUI crashes as those that occur on our streets and highways, they also happen all too often on our waterways. In fact, alcohol use is a contributing factor in nearly 20 percent of fatal boating accidents. Please, if you'll be at the helm of a boat, don't drink. Not only do you put yourself and everyone else on the water at risk, but you could also face a Boating Under the Influence (BUI) charge. Another thing boaters should consider—especially early on in the season—is the danger of cold water and hypothermia. Many don't understand how quickly a person can be harmed if exposed for too long in 50-degree water because they compare it to what 50-degree weather feels like. It's important to remember that water cooler than 70 degrees should be treated with caution. Consider this: Water temperatures colder than 77 degrees could cause breathing problems—that's why Olympic pools are mandated to be at least that warm for competition. From all of us here at Edgar Snyder & Associates to all of you: We hope you have a happy Fourth of July weekend.